Applicable for different types of treadmills manufactured by Strengthmaster and other makers. 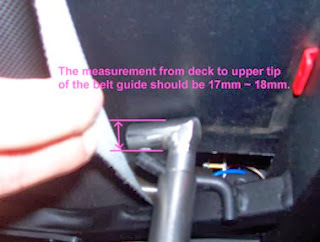 Useful in case the belt guides are positioned incorrectly and ruin the running belt at the sides. 1. Under the running platform, welded on the frame there are two guides. 2. 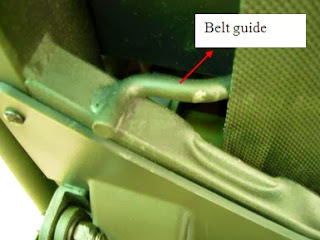 Temporarily offset the belt under the guide. 3. Measure the distance between the driving footrest: this should be between 17 and 18 mm. 4. If the distance is different from the specified distance, use a key (10 mm) or another tool to restore the correct distance. 5. 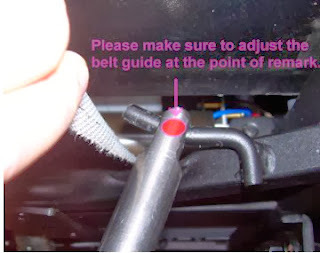 Be very careful to act exactly on the point shown in the figure to avoid damaging the guide. 6. Repeat the same operation on the other guide. 7. Center and tension the belt.